The now-defunct "Roseanne" reboot has received one 2018 Emmy nomination, for one actress: No, not that one. Laurie Metcalf. 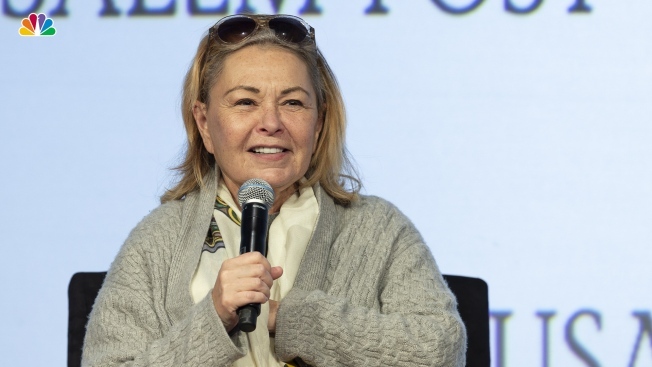 The 63-year-old actress, who reprised her role as Roseanne Connor's sister Jackie, was nominated Thursday for Best Supporting Actress in a Comedy Series for her performance on the recent first, and last, season of the rebooted series. Metcalf's nomination comes just a month and a half after ABC canceled plans to produce a second season and cut off ties with main star Roseanne Barr after she posted an offensive tweet deemed to be racist. This marks the 11th Emmy nomination for Metcalf, who previously won three for her role on the original "Roseanne" sitcom in the '90s. This year she is competing against actresses Megan Mullaly ("Will & Grace"), Zazie Beetz ("Atlanta"), Alex Borstein ("The Marvelous Mrs. Maisel"), Betty Gilpin ("GLOW"), and "Saturday Night Live" stars Aidy Bryant, Kate McKinnon and Leslie Jones. Earlier this year, Metcalf received two other prestigious honors: her first Oscar nomination, for her role in "Lady Bird," and her second Tony Award, for her performances in a revival of Edward Albee's "Three Tall Women." Metcalf will soon reprise her Roseanne role in a new spinoff titled "The Connors," which will not involve Barr.